See our list of NY dinner cruises, and find one that will best satisfy your culinary and on-the-water needs. Make the most of your visit or vacation to the great state of NY by booking one of these delightful dinner cruises in New York today! Live Entertainment, Great Food, and a Lovely Skyline View! Enjoy one of the best dinner cruises NY has to offer, while aboard Bateaux New York! Get the closest views of NY's renowned skyline and witness it like you never have before. Dance the night away, as you take in some of the coolest live entertainment. Get treated with absolutely outstanding service. All food is fresh and creatively plated. The NY dinner cruises are available all year round. Join Bateux for brunch, lunch, dinner, or cocktails. Call 1-866-817-3463 or book your reservation on the website. The site also features special cruise promotions, as well as information regarding signing up for future offers. Take your partner, family or friends to unforgettable dining and get a spectacular view of New York City sailing the Hudson River. Spend your precious moments on a beautiful ship admiring the view of the Statue of Liberty or cruising under the Brooklyn Bridge. The genteel vessels will host any type of group event, from small celebrations, such as birthday parties, to business meetings and social occasions. 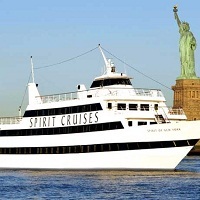 Come aboard the Spirit of New York and see why it offers some of the best and most entertaining dinner cruises in New York. Call to check the cruise prices and book your reservations. Exquisite Dinner Experience At World Yacht! Enjoy your night at World Yacht and experience first class service, great food and amazing entertainment. 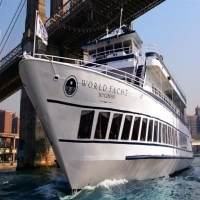 Definitely the best place to enjoy the great scenery of New York, World Yacht offers a unique experience in having a spectacular dinner experience in the city. You get to enjoy 3 hours of fun cruising around the Hudson River and seeing the beautiful skyline of New York. Book your reservations and let World Yacht be your choice to enjoy a great dinner experience here in the city. Visit the website for more information or call them at their contact number. Dinner Dance Cruises, Your Access To The Best Dinner Cruise In New York! 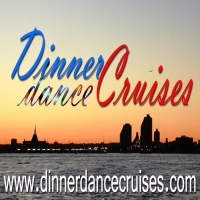 Let Dinner Dance Cruises provide an experience where you can enjoy your dinner here in New York. With their exceptional service, they will make sure to provide an exquisite experience in having a dinner cruise here in New York where you can have first class service in which there is great entertainment, delicious food and all the comforts you need to enjoy your cruise in New York. Contact Dinner Dance Cruises today and make your New York experience a fun and memorable experience that you won't soon forget. 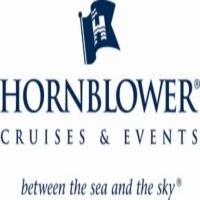 First Class Experience With Hornblower Cruises & Events! Enjoy New York and see the beauty of its skyline while at dinner. Let Hornblower Cruises & Events be your choice in having an exquisite dinner cruise experience here in New York. With their excellent service, you can expect to find great entertainment on your cruise, delicious food and first class service. You will definitely enjoy a unique experience with Hornblower Cruises & Events in which you get to experience New York. So book your reservations and let Hornblower Cruises & Events provide a wonderful dinner cruise experience like none other. Enjoy Wonderful Dinner At Francesca’s Touch of Class Events! 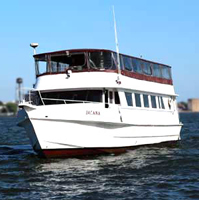 Let Francesca’s Touch of Class Events be your choice when going on a wonderful dinner cruise here in New York. With their quality service and great hospitality, you can expect to have a wonderful dinner and enjoy great entertainment inside their yacht. Definitely the best choice here in New York for a dinner cruise, Francesca’s Touch of Class Events offers nothing but the best for the satisfaction of their customers. Book your reservations today and let Francesca’s Touch of Class Events offer to you a wonderful dinner experience here in New York. Enjoy New York And Have A Wonderful Dinner Experience! 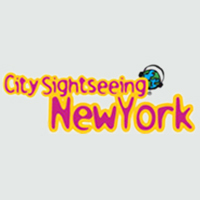 Let CitySightseeing provide a wonderful dinner experience in which you get to see the beauty of the New York skyline. Among the best dinner cruise experiences in the city, CitySightseeing offers great hospitality and first class service to its guests, making sure that it will be a pleasurable experience for every passenger in the yacht. Plan to have a very special dinner here in New York and go on a dinner cruise with CitySightseeing. You will definitely enjoy the first class experience and the great scenery. Enjoy First Class Food And Spectacular Scenery Of New York! Let Classic Harbor Line provide a magical experience here in New York. 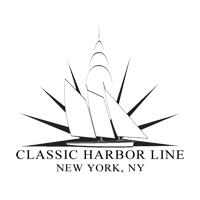 Classic Harbor Line is where you can enjoy a dinner cruise here in the city and get to see some spectacular landmarks of New York. With their great hospitality and excellent service, you can expect a wonderful dinner experience here with Classic Harbor Line where delicious food is always provided. Make your reservations and let Classic Harbor Line provide a magnificent dinner experience here in New York where you get to enjoy a spectacular evening filled with great memories. Appreciate The Beauty Of New York And Enjoy A Great Meal With Above All Cruises! 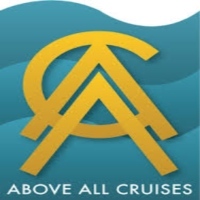 Let Above All Cruises provide a wonderful experience on a cruise here in New York. With Above All Cruises you can expect excellent service, soothing ambiance and a delicious selection of buffet style meals. Definitely the perfect place to enjoy a romantic evening with loved ones and a great way to see the beauty of New York. Have a wonderful experience on a dinner cruise and make your reservations today. Above All Cruises will make sure that you will have a pleasurable experience cruising New York. A Wonderful Experience Cruising With Empire Cruises! Enjoy a great party and celebration here in New York and go on a dinner cruise with Empire Cruises, the best activity to see some amazing sites of the city and appreciate the magnificent architecture of New York. With their quality service and great accommodations, you can expect that Empire Cruises provides a wonderful experience enjoying a memorable cruise here in New York. So book your reservations and let Empire Cruises make your evening a fun and memorable experience where you truly enjoy and have a great time. A Magical Evening With Del Rio Yacht Charter! Enjoy a romantic dinner for two here at Del Rio Yacht Charter. A preferred choice for a dinner cruise here in New York, Del Rio Yacht Charter offers an exquisite experience in which you get to enjoy first class service and a romantic evening with your loved ones. With Del Rio Yacht Charter you can expect nothing but great entertainment, good food and a spectacular view of the New York skyline. Plan a wonderful evening with your loved ones with a dinner cruise with Del Rio Yacht Charter. 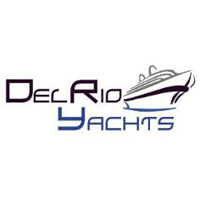 Book your reservations today and contact Del Rio Yacht Charter. 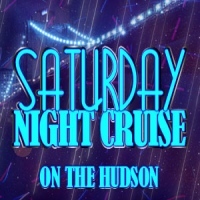 Enjoy Your Saturday Night With Saturday Night Cruises! 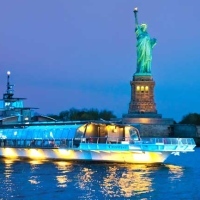 A perfect choice for having a great party on a Saturday night here in New York, Saturday Night Cruises provides an amazing dinner cruise experience in the Big Apple. With great entertainment and a buffet of delicious meals, you will surely enjoy an amazing evening here in New York. Make your reservations and plan a wonderful dinner cruise with Saturday Night Cruises. Visit their website for more information and for booking of your reservations.